I love the amenities and security, but have had issues with finding parking, loud noises at night and roommates having unregistered pets that I’m allergic to. Thank you for your review, Delia! While we are glad that you are overall satisfied with your experience, we understand there is room for improvement. We strive to provide a 5 star experience to each and every resident and regret that it seems we may have fallen just short of that standard. Would you mind emailing us at uliveboca@tpco.com with a few details about your time here? We would appreciate the opportunity to receive any suggestions you may have on ways we can improve our services. Thank you again for your review and we hope to receive your email shortly! Hi Alexandra! Thank you for taking the time to review our community! 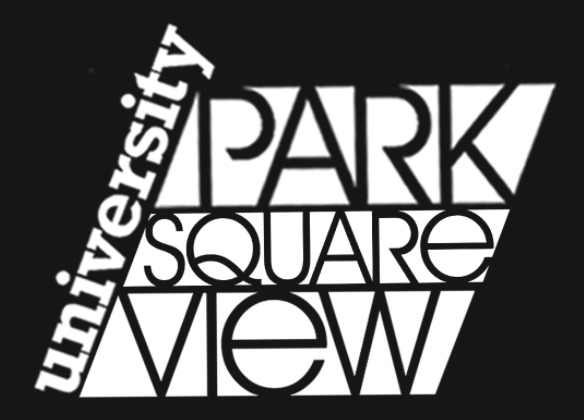 We are so happy to hear the positive feedback for University Park! Please reach out to us if there is anything we can do to further improve your experience with us! So far, I love it here. UPark, has everything that I need. From a place to study to a place to enjoy myself. I also like how understanding they are in the office, veryyyyy nice people! Thanks so much for your review, Jone! We're happy to know that you have had a great experience at our community! Please let us know if there is ever anything additional we can do to continue to impress you! It has been a great experience living here. It is nice being surrounded by people my age and being provided with most of what is essential to have a good living experience! Hello Alyssa! Thank you for taking the time to leave your feedback for University Park! We're glad to know that your stay has been great! We hope to keep impressing you! Thanks so much for your review, Jean! We're happy to know that you have enjoyed your experience so far at our community! Please let us know if there is ever anything additional we can do to continue to impress you! I love living so close to FAU. But I have the worst roommate on the property who has threatened me and nothing is being done. The community is great I use the pool, gym, and study room all the time. But I hate actually being in my apartment because I do not feel comfortable. Hello, thank you for your feedback. While we are glad that you are overall satisfied with your experience, we understand there is room for improvement. We strive to provide a 5 star experience to each and every resident and regret that it seems we may have fallen just short of that standard. Would you mind emailing us at University.Park@tpco.com with a few details about your time here? We would be happy to look into possible transfer options for you to improve your roommate experience. Thank you again for your review and we hope to receive your email shortly! Best place ever! This residential community is filled with awesome people and an amazing staff. The pool is cool too. I love how I can use it. Hi Daniel! Thank you for taking the time to review our community! We are so happy to hear the positive feedback for University Park! Please reach out to us if there is anything we can do to further improve your experience with us! Hello! Thank you for rating our community! We are pleased to know that you are enjoying your time with us. Please let us know if there is ever anything additional we can do to make your experience even better! University Park is a phenomenal place to live. The location of the apartment is in a fantastic spot and the rooms are spacious and really nice. Tyler, thank you for your feedback. While we are glad that you are overall satisfied with your experience, we understand there is room for improvement. We strive to provide a 5 star experience to each and every resident and regret that it seems we may have fallen just short of that standard. Would you mind emailing us at University.Park@tpco.com with a few details about your time here? We would appreciate the opportunity to receive any suggestions you may have on ways we can improve our services. Thank you again for your review and we hope to receive your email shortly! Such a beautiful apartment complex. The rooms are fully furnished which is amazing. Plus the staff is friendly and they always have food and activities for the residents. Thanks so much for your review, Lindsey! We're happy to know that you have had a great experience at University Park! Please let us know if there is ever anything additional we can do to continue to impress you! Pretty good . They keep it really clean, you got a nice view and they are updated. It’s a lot of things like a gym pool game room and more..
Keno, thank you for rating our community! We are pleased to know that you are enjoying your time with us. Please let us know if there is ever anything additional we can do to make your experience even better! Thank you so much for your kind words, Joseph! We really appreciate you taking the time out to share your experience with us! We look forward to you enjoying your time with us at University Park! Hello Juan! Thank you for sharing your feedback for University Park! We are so happy to hear that you love our amenities! Please feel free to reach out to us at University.Park@tpco.com with any questions and concerns we can assist you with! Hi Joel! Thank you for taking time to leave this review. We're sorry to hear that your expectations fell short of the 5 star standard we hold ourselves to. Would you be willing to reach out to us directly to discuss any issues you are having with any of our staff members? Please email us at University.Park@tpco.com. We look forward to hearing from you! Terrible management. Made me pay $500 for my EMOTIONAL SUPPORT ANIMAL even though I provided legal documents confirming her status. Told me they would give me a credit of $50 each month, never did and overcharged me for rent. Terrible place to live. Break ins and car vandalism occurs all the time and they have no security nor cameras to protect residents. I like University park very much, the apartments are very nice and modern and their is a great pool and turf field area. it is also pet friendly so im all for that. Hi there! Thank you for taking the time to review our community! We appreciate your feedback and we hope we can continue to impress throughout your time living with us! Thanks again! Clean grounds, awesome pool area, fitness center, and other amenities. Super close to FAU and Palm Beach State's Boca campus. Safe and secure area. Great location, good people but it can be dirty because people don't clean up after their dogs. Office is good but too many people who dont live ar upark use the gym. Hi Paul! Thank you for taking the time to share your feedback for University Park! We are working on sending out more notices to all residents to inform them of the animal/pet policies. We are so happy that you've renewed your lease with us for next year and hope we can make this lease year a 5 star experience for you! Thanks again! Thank you so much for your kind words, Salah. We really appreciate you taking the time out to share your experience with us! Love UPark. I’m France, and I really like the residence. Gym , Pool and wonderful weather, everything to have the American Dream. I will definitely recommend the residence for students studying abroad. Hello Antoine! Thank you for taking the time to review our community! We are so glad that you love it here at University Park and we would love for you to reach out to us if you ever need anything! Our email is university.park@tpco.com. We look forward to hearing from you! Sometimes can be noisy from the people that live underneath me. Also the elevators aren't cleaned out daily so can get gross especially from pets. Also when gates are left open random people who don't live here take up parking spots and I thought the whole point of the green parking sticker was to tell if you lived at upark or not, don't think security checks so that means less parking spaces. Hi Alyssa! Thank you for sharing your feedback for University Park! We do want to encourage you to call the courtesy officer on property at 561-362-0245 anytime you have a noise complaint so it can be documented and stopped as soon as possible. We do have maintenance and groundskeepers on site every day Monday through Friday and they clean the property as early and quickly as they can while also completing work orders. The gates have been closed since mid-January and we hope they can stay this way as long as no one runs into them again! Please feel free to reach out to us directly at University.Park@tpco.com regarding any issues you have. We're so glad you've decided to renew your lease with us and we hope we can improve your experience with us to make it a 5 star standard! Not what I was expecting. Over priced for what you get, the rooms/furnishing are quite shoddy. The only nice part is the study center on the second floor it’s well done and has everything you need. Hello Hannah! Thank you for taking the time to review University Park! We're sorry that your thoughts on our community are anything less than wonderful. We are glad that you've made good use of the study rooms and hope we can make the rest of your stay with us a 5 star experience! Feel free to reach out to us at University.Park@tpco.com with any questions or concerns you have for us! The apartments are great and everyone from the staff is very helpfull. The only thing that I would avoid is the additional fees that are charged when moving out. Hello David! Thank you for taking the time to leave your review! We're glad that you've had a positive experience with us! We do want to let you know that most charges residents receive after move out are from damages they caused in their apartment. This can easily be avoided by taking care of your unit throughout the year. Please reach out to us at University.Park@tpco.com if you have any questions or concerns regarding your move out process. We look forward to hearing from you! Hi Kristen! Thank you for taking the time to share your feedback about University Square! We are undergoing a management transition at this time so the office hours will be changing in the nest week or two! For now you can reach out to us at University.Square@tpco.com with any questions! I enjoyed the facilities. Did not enjoy dog poop everywhere. I also didn't appreciate the sneaky tactics used to fine residents. Staff lied and told me they were checking the A/C when really they were going in my room and snooping aroud. You guys penalized me $500 like it was nothing- thats a lot of money that I need for bills you freaking criminals. Hello Chayse! Thank you for taking the time to review our community! We have started to send out notices to all residents to remind them to pick up their animals' waste and keep their animals on leash at all times. We do quarterly inspections and we have to post a 12 hour notice beforehand in accordance with FL law. Be sure to follow all criteria as listed in your lease agreement to avoid fines/fees. We're glad that you've renewed your lease with us and we hope we can make next year a 5 star experience for you! Please reach out to us directly at University.Park@tpco.com if there is anything we can do to make your stay here more enjoyable!